Need help choosing a license? Drop us an email at [email protected]. The users of your DNN portal will thank you for making their search experience simply work. Make sure you don't lose them because they can't find what they're looking for. Portal content, target subsets of the portals, documents (such as PDFs, WORD Documents), external web pages, custom data from database... You name it! With Search Boost you have better control over search results for you and better realtime results for your users... which means happy users. Search Boost was designed to accommodate developers and DNN portal’s owners in every way possible, allowing for very fine-grained control & customization. Wondering what Search Boost can do for you? The list below is not meant to be exhaustive. There are lots of more applicabilities for Search Boost. Search Boost uses DNN interfaces to retrieve searchable portal content. Search Boost can be configured to index documents from portal directories. This is achieved using the IFilter interface, so for this to work you need to install the IFilter packages from Adobe (for PDFs) and Microsoft (for Word Documents). Search Boost can be configured with a list of URLs to index. It also knows to consume URLs that are XML Sitemaps or RSS feeds and index all web pages they contain. This is a very powerful feature to display unified results from multiple sources. Search Boost extends the capabilities of DNN search with cool new features such as Fuzzy Search, Exact Phrase search and it allows configuring the precision of how these works. Furthermore, there's also an option to configure the default operator for multi word searches (AND, OR, Exact Phrase). 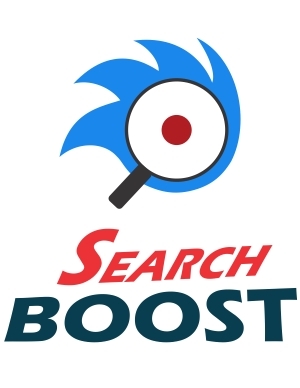 Search Boost has a number of options that allow boosting certain results. Not all results are created equal; boosting basically lets portal administrators control which results should rank higher based on last modified date, their type or where the terms appears inside the result. Sometimes, searches need to be restricted to sections that are made up of multiplied modules from different tabs. For example: search manuals, search products, search services, etc. To accomplish this, simply instantiate a SearchBoost module, open the Settings window and select all the modules/tabs/portals that fall under that specific section. There are plenty of modules out there that let you create and manage tables (physical or virtual). What if the module doesn't support searching or you need to define custom rules about how the content should be indexed? This is where SearchBoost comes into play: it allows you to define search rules against the tables using joins and advanced extraction techniques (for example, you can select a column to be sent as a GET parameter when the search result is clicked). ISearchable is the interface required by DotNetNuke in order to be able to index content. There are modules out there that don't implement this interface, so they can't be searched. SearchBoost fixes this by allowing you to define rules for indexing tables in the database that are behind that module. You can define search criteria to expand to any number of portals (or tabs and modules from different portals). Note that, to maintain security, you can only accomplish this when logged in as Super User. Search Boost can index files (PDFs, WORD Documents, etc). Some formats require the IFilter packages to be installed. Install this extension to enable searching PDF files when PDF IFilter is not installed or not working properly. Search Boost comes with its own live search engine based on the popular Lucene library in order to bring more power to the DNN search. Besides indexing existing portal content, Search Boost can crawl a list of web pages and index them into local index. If Search Boost finds links that are xml sitemaps or RSS feeds, it consumes them to index all web pages they contain. Search Boost can index portal modules using the ISearchable interface, which is how the standard search works. Search Boost allows indexing of any table in the Database. Setup is made simple with wizard approach. Search Items such as documents or database content can be linked to categories. Search Boost provides a simple API to write your own plugins to provide content from other sources not supported by default. Search Boost has options to control how results should be boosted based on their type, their last modified date and where the terms appear. Search Boost allows restricting searches to individual modules/tabs/portals - easy to setup by selecting items trees. Search Boost can display social sharing controls (powered by addthis) next to each search result. When search terms don't generate any results, Search Boost checks for similar words and builds a list of suggestions. Search Boost can display a dropdown with the portals in current installation that users change to better target their searches. Search Boost supports Fuzzy Search and allows the similarity index to be configured from administration screen. This function allows searching for beginning of words. It can be set implicitly or explicitly through the use of * character. Search Boost can display a link for each search result that when clicked will show results that are similar to the original. Search Boost can be configured to show suggestions box as users start typing inside the search input box. Search Boost supports Google syntax to find exact phrase by enclosing the words between double quotes. Search Boost can be configured to highlight search terms within results. The administration interface provides an advanced yet simple to use interface to configuring instances and managing custom search rules. Configure Search Boost instances to target any portal in your DNN installation. By default results are ordered by relevance, but it's possible to also sort them by title or date published. Search Boost studio provides tools for reindexing content and testing searches directly in the editor. Search Boost uses popular NLog library to log 4 levels of entries during searching and indexing. Search Boost displays execution time when measuring performances of different search providers, optimize search configuration, etc. SearchBoost uses the DNN Search interfaces therefore all the features of the search provider are preserved. Configuration of file indexing is decoupled by Search Boost through configuration files. Search Boost has a Document Analyzer that runs as a scheduled tasks and determines which documents are new or have been updated and marks them for indexing, making Search Boost a truly scalable search solution. Search Box and Search Results are XSL based templates that allow full control on appearance, defining both structure and appearance through CSS styles. You can configure Search Boost Input to run either as a Skin Object declared in site skin or as a module you add to the page just as any other DNN module. The only thing not available in Medium Trust is support for document indexers based on IFilters. This list contains common words that you want ignored by the search engine, such as "and", "or" and so on. Enable this option to have Search Boost return same result set regardless if the search terms contain accent or equivalent Latin characters. If My Tokens is installed, Search Boost will call it to replace tokens in Search Results. Search Boost can integrate with DNN permission to enforce security when fetching document results. Configure the results module to initially show results from a search applied to the specified instance. Search Boost implements IPortable so you can easily deploy content, copy modules or create portals with Search Boost already configured. The code generated by Search Boost is XHTML transitional compliant. Properly index the content from DMX documents to include it in search results. Tailor your DNN portal’s search results by means of advanced filtering created through custom forms. Action Form was built to act like the base for all your user interactions regardless of what you’re building with DNN. My Tokens connects data to modules. For example, pull content from DB table or a web service into HTML modules. Imagine the possibilities! Sharp Scheduler is a time-based and application events-based task scheduler module for DNN. * Enterprise is defined as your company site(s) and those of your customers that are directly managed by your organization. Frequently asked questions cover answers to most of the questions that you might have related to Search Boost. Please read this section carefully before waiting for support. Who knows? You might find the answer quicker than expected. FAQ 1. Is there a trial version available? The trial version is identical to the full version, except for the time limitations. FAQ 2. Can I extend my trial? FAQ 3. Will I lose the settings I make during the trial when I buy? Absolutely not. You just need to use for activation the registration key received via email after the purchase was made. FAQ 4. I’ve hired a developer to work on my site. Who should buy the license? You should. It is always best for you, the site owner, to have access to your account on dnnsharp.com. That’s how you access downloads, license keys, and support. You can purchase a Search Boost license under your own name and then give the developer the license key for the site. That way, you retain control of your own module purchase in the event that you need access or decide to switch developers. FAQ 5. Can I use Search Boost to build and distribute applications? You can integrate and distribute Search Boost with your own products, but it should not be main functionality, it shoud be added value, and should not be in competition with our existing product. If we go into competition later, the developer will still be allowed to use the version he owns at that time, and continue to develop it, but will not receive new updates. FAQ 6. Can I have one instance for dev, staging and live? FAQ 7. Can the license be transferred? Yes, but only if there is a transfer of ownership of the entire product. FAQ 8. Can I upgrade to different license type later? FAQ 9. If I upgrade my DNN version, do I need to also upgrade the module? Not necessarily, but it's recommended because we test and optimize for new versions. Sometimes, new DNN version also breaks our modules so then you'll be required to upgrade. It's recommended to upgrade all at once to optimize the Q&A costs. Use Dynamic Rotator .NET to show off content and pictures with class or to present ideas and products professionally to potential customers. Struggling to Create Custom DNN Forms? Action Form is the most powerful yet easy to use custom form builder available for DNN. It's Responsive too! Easy Container helps build rich DNN containers at a click of a mouse with live preview! Cut the middle man and increase productivity! Provide your users with a well-designed and informative FAQ section using FAQ Master. It's the easiest and most modern FAQ solution for DNN. It takes minutes! NavXp gives you full control over layout, hierarchy and appearance. 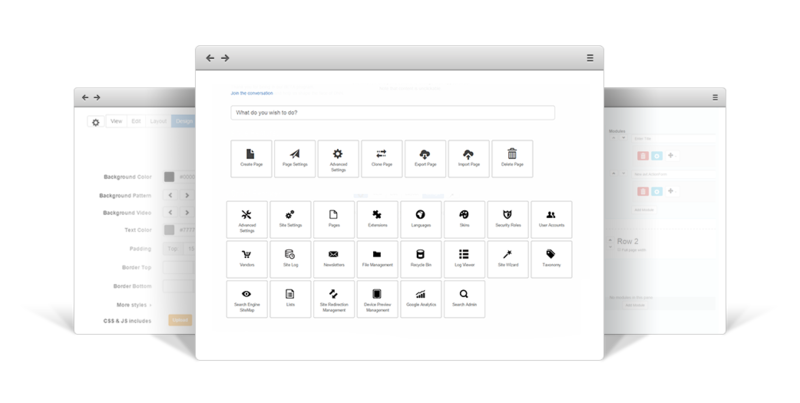 Build any DNN menu you can think of in minutes! Redirect toolkit has got them all: user redirects, roles redirects, mobile redirects, variable redirects, random A/B testing redirects and a dozen more. Search Boost has often been said to be light years ahead of any other search engine. Make sure you are not losing customers because they can't find what they're looking for. If you need to automate system maintenance or administration tasks on your DNN portal, Sharp Scheduler is your ticket! Tabs Pro comes with clean and responsive themes that will also play nicely with CDNs. Fast and simple to configure! URL Adapter takes on some rather complex concepts such as usability, SEO or redirect workflows and builds a new interface that Everyone can understand! Action Grid enables the integration of powerful tables from multiple sources into DNN projects, providing a simple, yet flexible means of displaying data in a tabular format. DNN API Endpoint was born to create an easy-to-use and well-tested framework for building REST APIs to help support applications that live especially outside of DNN. Get them all by choosing Web Sharp or App Sharp! When it comes to support we pride ourselves on going the extra mile for our clients. One of the greatest joys we get is the awesome stuff we see based on the concerted effort of both our clients and ourselves. With dedicated support staff at your back, you can be sure that you will get your DNN portal up and running without a hitch. SB installs and works well, and is highly configurable. Developer support is excellent. Every single DNN site should use this module. A support and fantastic features. Excellent module with endless configuration options. DNNSharp support and forum helped me with development. I've used this on several sites. Another wonderful module. DNN Sharp a great DNN developer. Excellent module. Had minor issues and the resolving time was lighting fast and excellent service. Would definitely recommend this module. Excellent module, excellent support. This works as advertised and I received excellent support when I had questions. Recommend this to anyone. This is an extremely robust and powerful search engine. Great support. I recommend not only the product but the developer too. First Class! Excellent module - great support. Does everything we need it to - we use it on all of our sites. Very flexible! With Search Boost you have better control over search results for you and better results for your users... which means happy users.